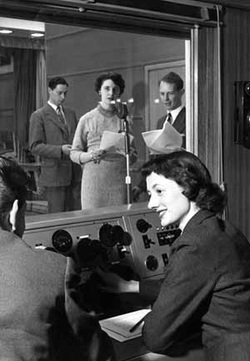 The BBC Piccadilly radio studios where the Piddingtons broadcast their shows was the home of London's Stage Door Canteen in Piccadilly. It was run by the NAAFI (Navy, Army and Air Force Institutes) and passing showbiz stars 'dropped in' to perform, supported by young performers, often themselves in uniform. 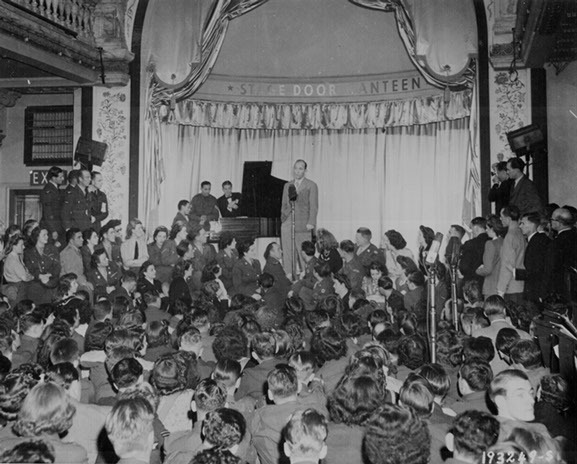 On one famous night in September 1944, the cast included Fred Astaire, Bing Crosby, Jack Buchanan, Beatrice Lillie and opera star Joan Hammond. In London, the Canteen continued for a few years after the war and in 1946 an 11 year old Julie Andrews sang the 'Polonaise' from Mignon before the Queen (later Queen Elizabeth the Queen Mother) and Princess Margaret. 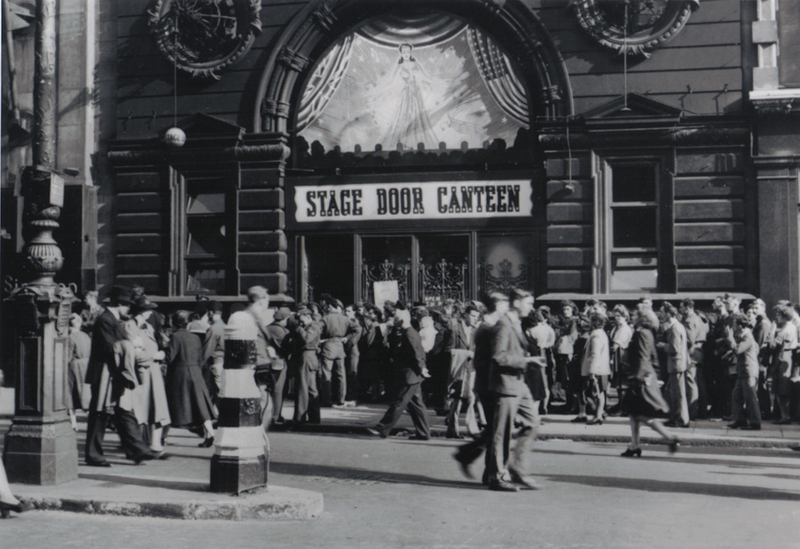 Above: Entrance to the London Stage Door Canteen, 201 Piccadilly, London. This building unfortunately no longer exists. There were two studios at 201 Piccadilly. (left Studio 2) The entrance, on the south side of the thoroughfare, was an innocuous doorway sandwiched between two shop fronts – one was the Air France office, I think. A corridor led to doors into Studio One; a staircase led down to Studio 2 and another staircase led up to the Control Suite of Studio One. This comprised the usual Outside Studios setup of a Control Cubicle and an adjacent Recording Channel. As these were on the first floor, a cast iron spiral staircase with a sound lock at the top provided faster access to the ground floor studio than going down the main staircase and turning 180 degrees at the bottom. 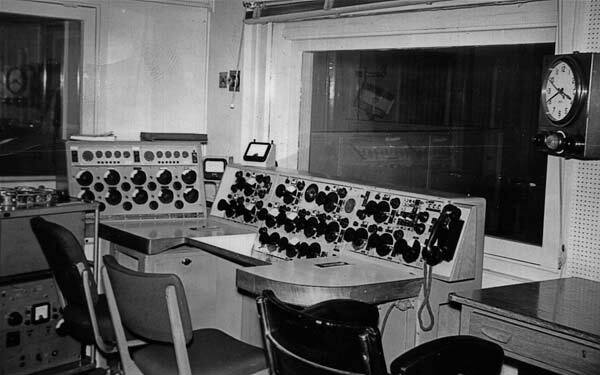 Until Studio One’s refurbishment in the mid-1960s, both studios were equipped with Type A consoles, which were adequate for the sort of drama and early Variety productions for which they were intended, but not large enough to cope satisfactorily with the increasing demands of the 1960s Light Entertainment productions with orchestras and singers.